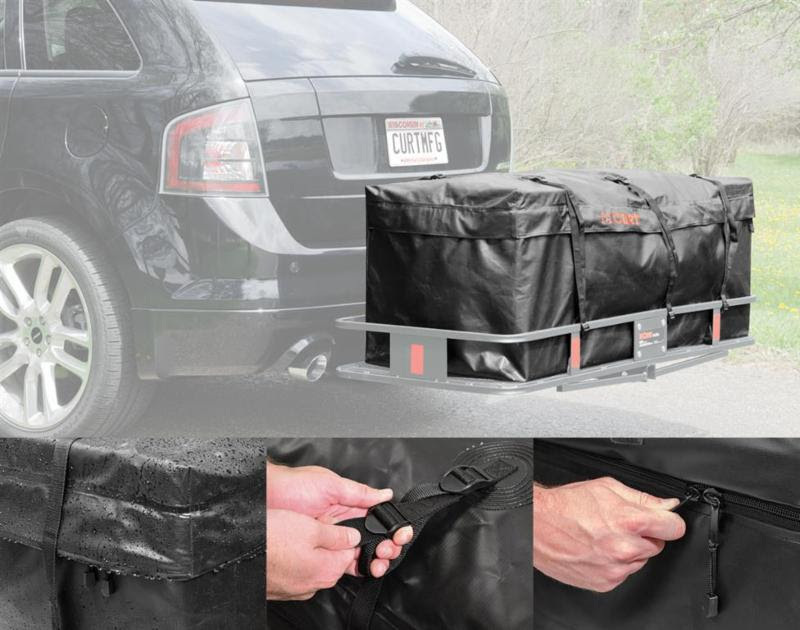 Unlike other cargo bags which are manufactured with low-quality plastic materials, these cargo bags are made from thick UV-resistant vinyl and heavy 500 x 500 denier fabric. The vinyl features welded seams to be truly waterproof, while the fabric is rip-stop tested for reliable strength and extra water resistance. Strong, 1″ wide polypropylene straps keep the bag firmly attached to the carrier and ensure belongings will not jostle around. 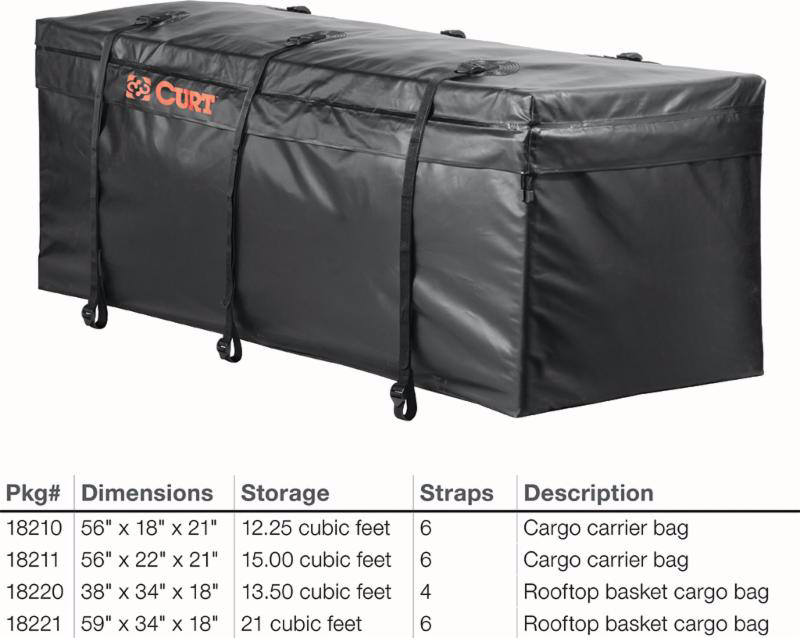 CURT cargo bags also come with a heavy-duty zipper that wraps 1/2 way or 3/4 of the way around the bag, depending on the model, and hook-and-loop flaps keep the zipper completely covered and the inside of the bag perfectly dry. For extra security, the zippers are able to be joined together and feature large holes to accept a padlock.